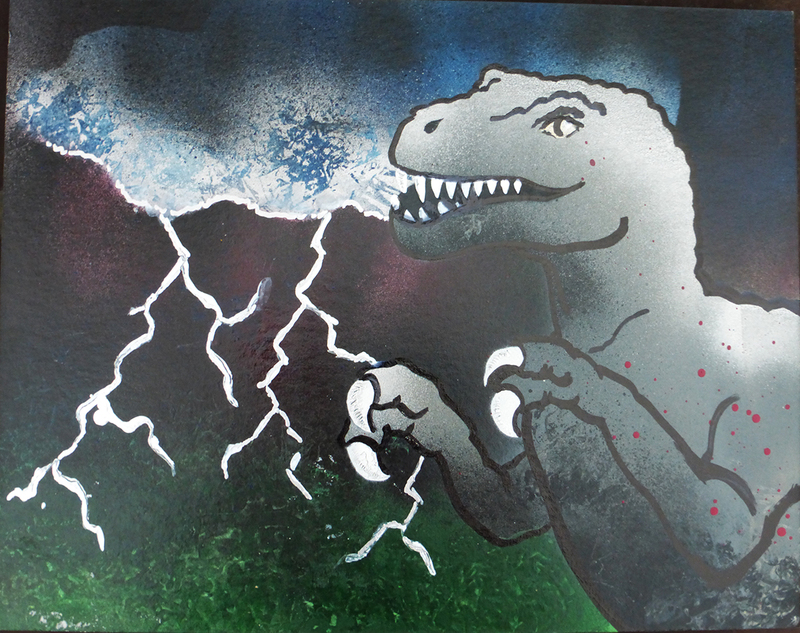 This is another stencil piece that I did with the same T-Rex stencil. I offered a giveaway, and got back a request for a T-Rex with lightning in the background (no hat). I think it turned out pretty well. The picture is a little washed out, this piece looks better in person.